W﻿HAT OPPORTUNITIES WILL YOU FIND DURING YOUR STUDIES IN THE EMU ﻿OBOE STUDIO? 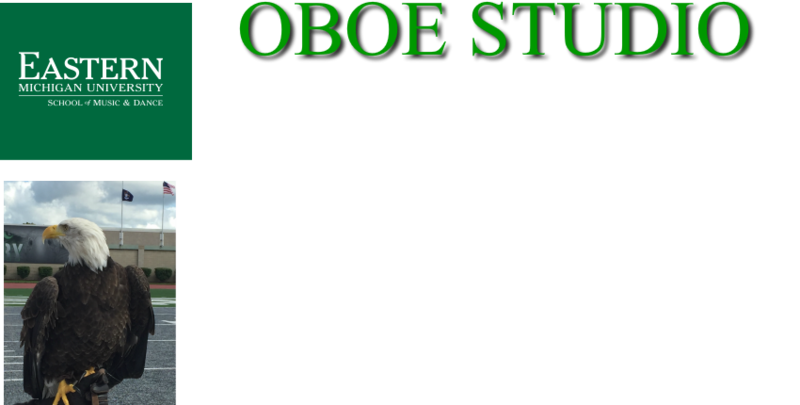 Oboe Studio Classes: weekly professor-run forums where students discuss and study oboe-related topics, study orchestral excerpts, play and perform double reed ensemble repertoire, and perform solos for members of the oboe studio. Weekly Oboe Reed Workshops: During this time, students work on their own reeds, discuss and experiment with various techniques and topics pertinent to reed-making. ﻿Become su﻿﻿rrounded by mus﻿﻿ic! EMU is surrounded by very active musical cities. World-class concert-presenting artists and groups regularly perform in Detroit, Toledo, Ann Arbor, and through the University of Michigan Musical Society. Become Involved with Chamber Music! Students involved in chamber music are coached weekly by School of Music faculty. The ﻿Eastern Michigan University Honors Program:﻿ Students may participate in the advanced course offerings of the Honors Program and can even create contracts with the program to present recitals or study for credit. At Eastern Michigan University, OPPORTUNITIES ABOUND! With possibilities to perform often and in a variety of settings, we help you receive the highest quality experience and instruction possible. 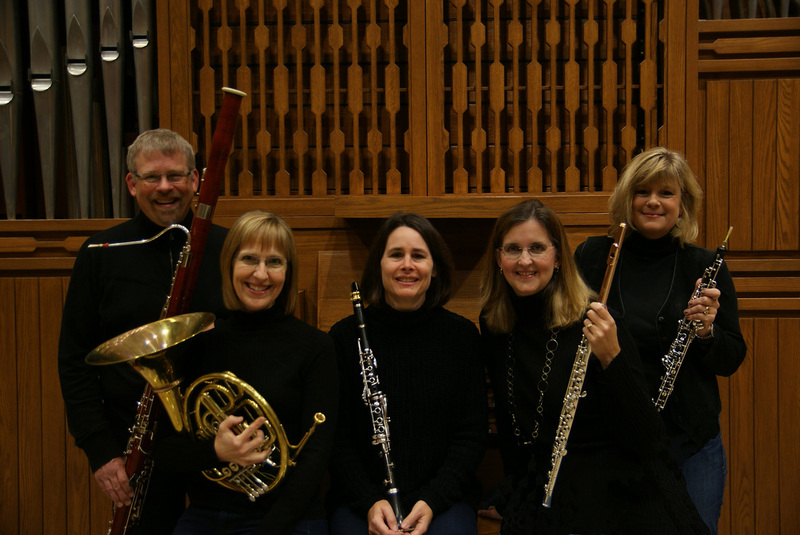 ﻿﻿Outstanding faculty performances: The Eastern Winds, Eastern Michigan's resident faculty woodwind quintet, and other faculty chamber groups, perform regularly throughout the year. Performing and competition opportunities: All of the following competition opportunities are available to EMU oboists: EMU William Stewart Competition, the Concerto/Aria Competition, the Chamber Music Competition, The Undergraduate Symposium, the Manilow Performance Competition, the Kappa Kappa Psi Honors Recital, the Tau Beta Sigma Chamber Music Recital, as well as weekly Student Recitals.